The new Lollipop-based Asus phone features a hard plastic chassis, a 5.5-inch FHD display and weighs at 170 grams, heavier than most phones in this segment. Asus promises fast-charging feature which is at par with other smartphone brands, the back panel is removable to offer dual-SIM support. 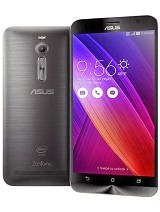 Zenfone 2 offers a 13MP camera at the back and during our time with the device, images delivered were of high quality, for the price putting the phone at par with others like Xiaomi Mi 4i and even better than OnePlus One for that matter.